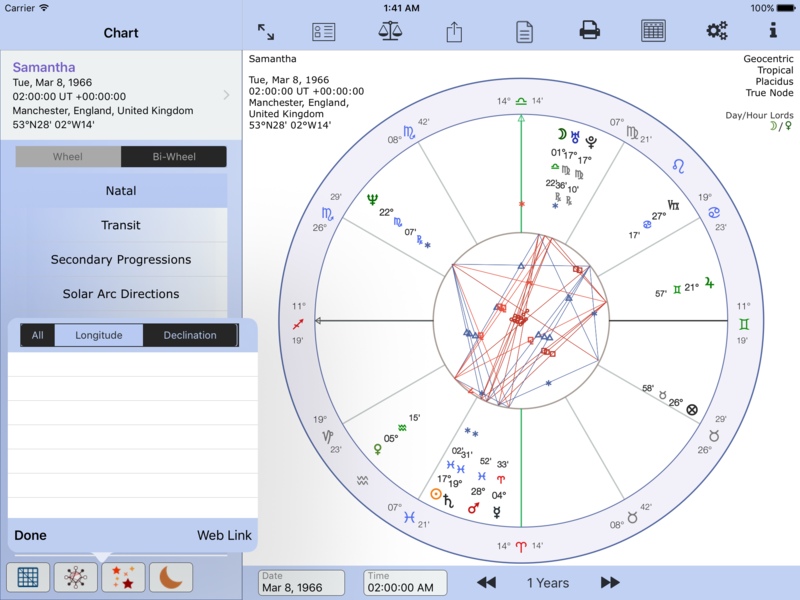 The Fixed Stars table shows those planets or points that are conjunct a fixed star – see the first screenshot, below. The fixed stars that are used in this table are the ones shown as prominent in the Fixed Star List (Default Settings menu). Please see screenshot 3, below. 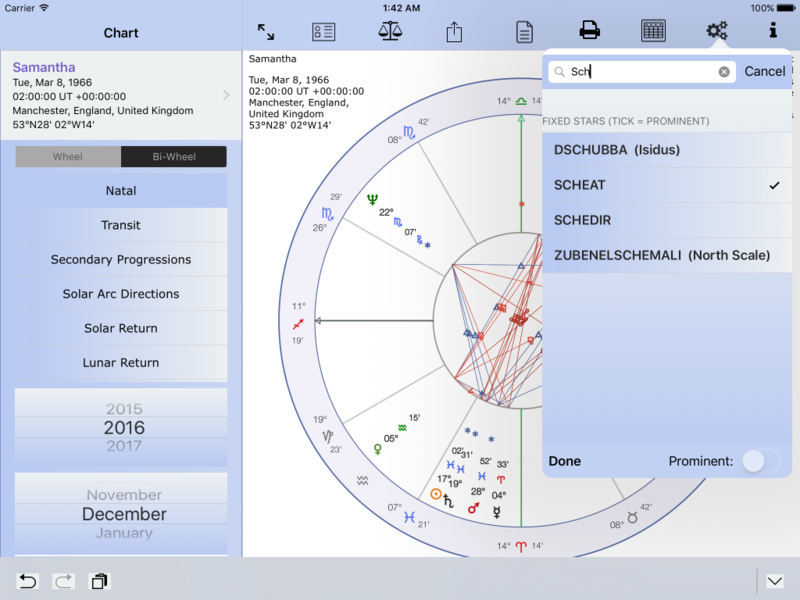 One of the fixed stars that some would consider that should be made prominent (for the purposes of this app) is Scheat. Note that by default, Scheat is not set as prominent. You might consider other fixed stars to be prominent – they should be added to the prominent list. No Fixed Star aspects in longitude – but some might be aware that Mars is close to the longitude of Scheat. How do we rectify this situation? 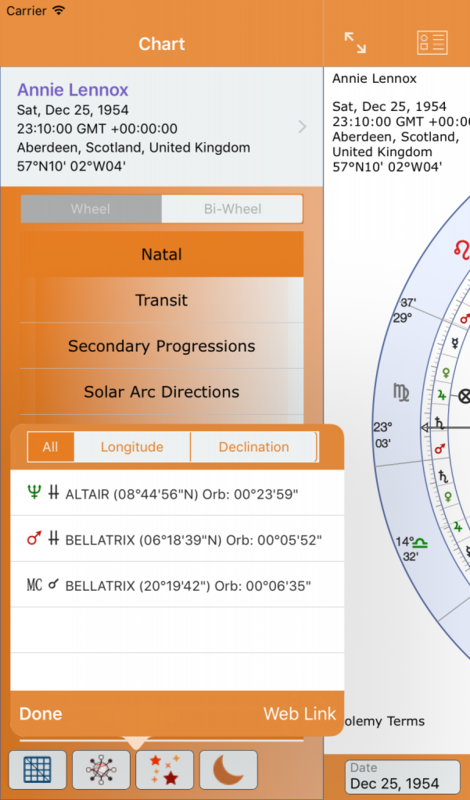 Change a Fixed Star to Prominent. To remove the tick tap the record again. Now returning to the Fixed Stars aspect table. Done!